Sundance 2011: Perfect Sense Movie Review – Best of the fest? 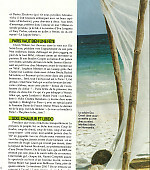 Chini was kind enough to send us scans from a past issue of Elle France (Elle is a weekly magazine in France, by the way) in which Eva was said to love enjoying the summer and nature at her mom’s at Authieux-sur-Calonne, Normandy, France. Eva is on the cover of Russian Elle’s October issue, looking absolutely breathtaking! Huge thanks to Astrelle for the heads up and also thanks to Stereo_Flo for the scans!!! 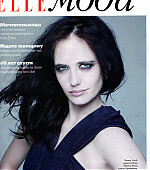 Edit: Please follow EGW on Twitter for the latest news and updates: @EvaGreenWeb, and we are also on Facebook! To like our page, click here.